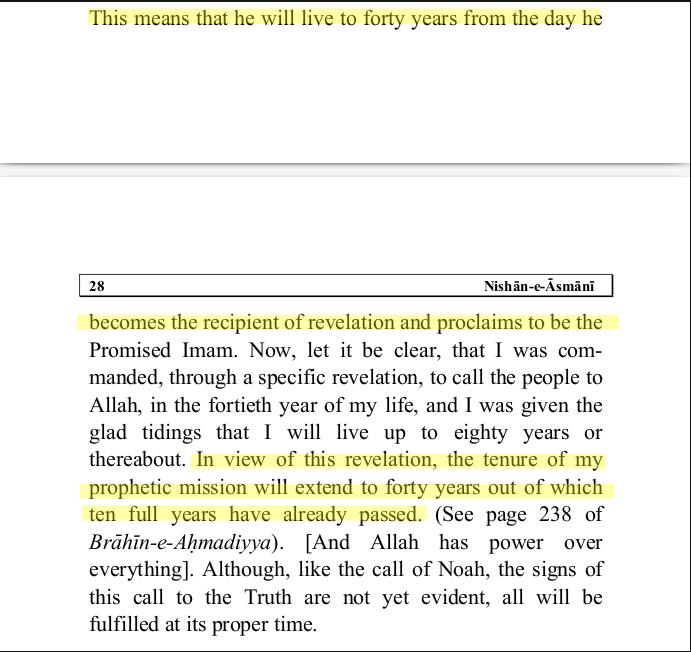 Mirza himself has told us there’s no better way to judge his truthfulness then his prophecies. Mirza himself has told us there’s no better way to judge his truthfulness then his prophecies. 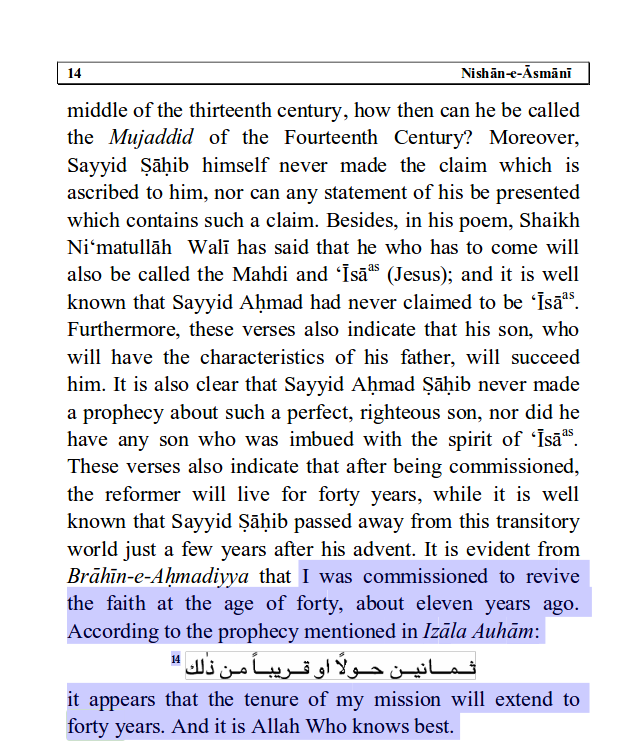 Below is an example of one such a claim taken from his book “Nishan-E-Asmani” (The Heavenly Sign). Mirza wrote the above mentioned book in 1892 (the foreword in the PDF confirms this). His mission was supposed to last forty years according to this prophecy, and at the time of writing (1892) he said that “ten full years have already passed” out of these forty. So his mission should last until 1922.